Medicare is a federal health insurance program provided for people over the age of 65 and people who have End Stage Renal Disease (a permanent kidney failure which requires a transplant). It was originated and established in 1965 by the Social Security Act and was a responsibility of the SSA. Medicare health insurance is provided to over 40 million Americans and is a national insurance program consisting of coordinated/separated programs: hospital insurance and supplementary medical insurance. The individuals which are covered by Medicare are referred to as the ‘beneficiaries’. The majority of the health care is typically covered by Medicare, but not necesarrily all of it. There are 4 parts in which Medicare provides benefits: A, B, C & D. Part A usually pays for hospital stay along with certain nursing facilities, and is premium-free for the majority of the individuals. 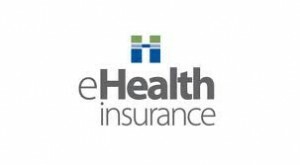 In order to fall under Plan B, a monthly premium is usually needed for coverage, which covers pay to doctors and outpatient care that Part A does not cover. Part C allows PPOs and HMOs to provide health insurance plans to beneficiaries. There are certain limits involved in this plan in order to limit an individual’s choice of physicians or hospitals. Finally, Part D offers benefits for prescription medications through a variety of insurance companies which are private. Majority of senior citizens are covered under the original Medicare plan. It is important to know that while the majority of those individuals who are covered under Medicare are of ages 65 and over, there are certain people that are younger which could possibly qualify for Medicare as well. 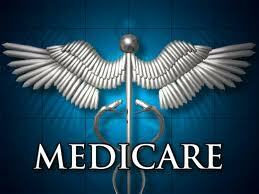 Visit www.medicare.gov for more information.